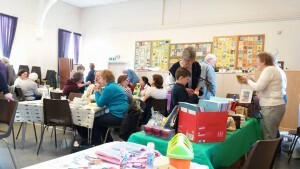 Our first Pop In Café was held on March 5th in the Parish Rooms. 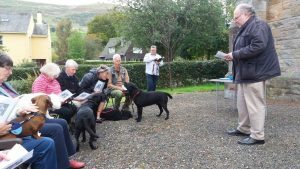 We were delighted to welcome nearly 30 people. The next one will be on Tuesday April 2nd. Fiona McNicol, a member of the congregation, gave a most interesting talk on Saturday 9th February about her visits to Malawi. 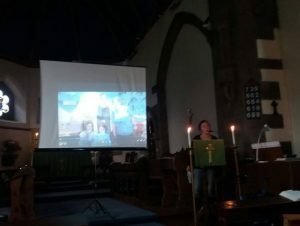 She is a teacher at Beath High School, Cowdenbeath who have a link with Mapanga and Njale Primary Schools in the southern part of Malawi.Groups of young people have gone to Malawi and worked in the schools and learnt about the culture of Malawi. 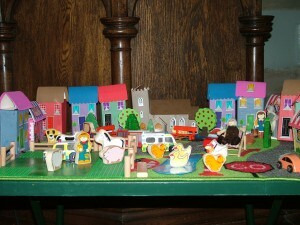 The aid that they bring has enabled more children to stay on at school and progress to secondary school. It has also been life changing for the Scottish students. This year Laurene Mackenzie led us on three Advent Reflections on the theme of journeys: Mary’s, Joseph’s, the Shepherds’ and our own. 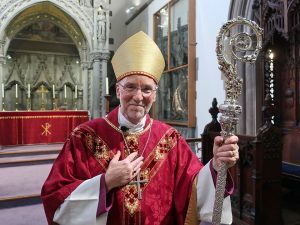 We were delighted to welcome Bishop Ian and Carrie to St. James’s for the first time last Sunday. 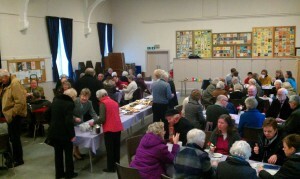 We enjoyed the opportunity to get to know them a little at a Bring and Share lunch after the service. 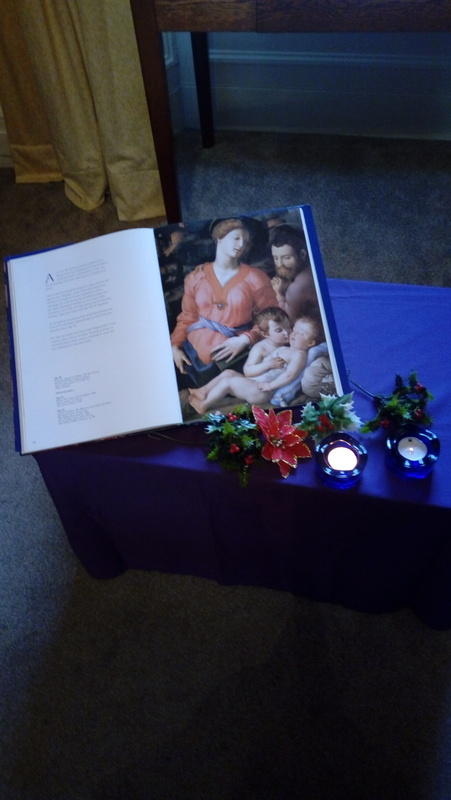 On Advent Sunday we had a service of readings and Advent carols. 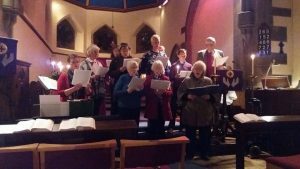 Wonderful to hear again familiar words in carols such as “Wake O Wake for night is flying” and “Come thou long expected Jesus” but also some less familiar sung by our choir. 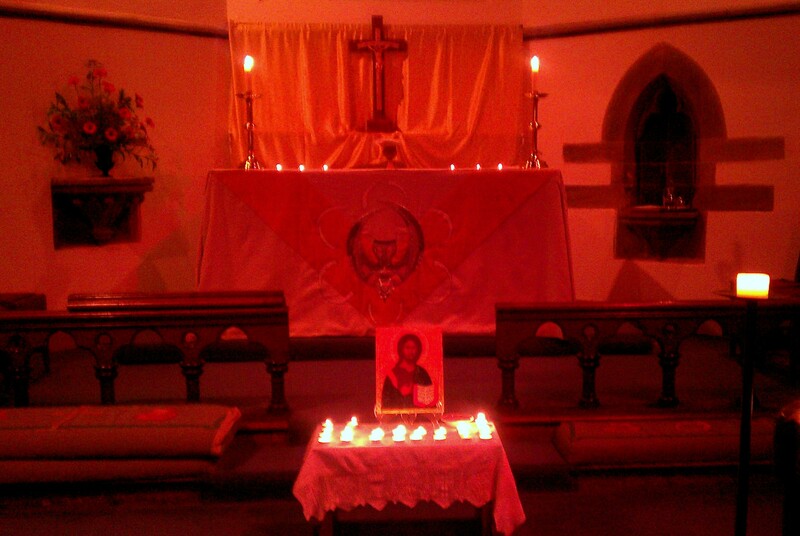 The readings gave us a chance to pause and reflect on our focus during these busy weeks. 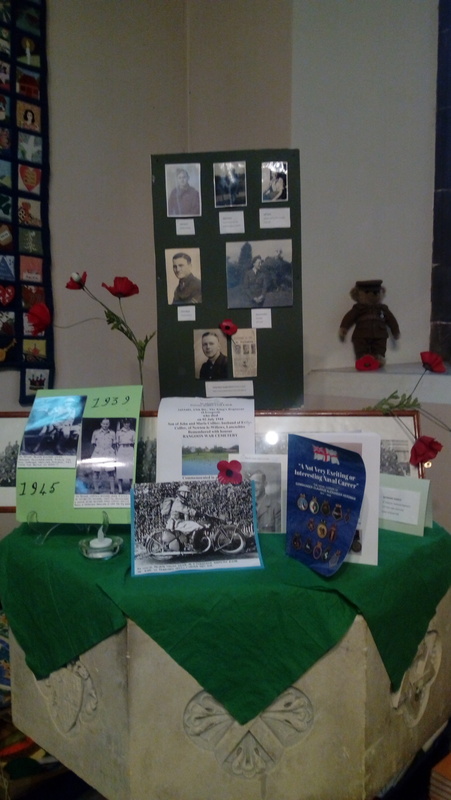 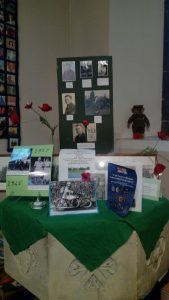 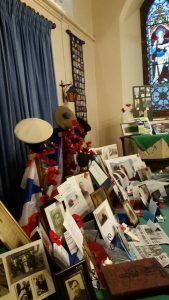 A very moving exhibition has been created by Margaret Taylor with contributions from many members of the congregation telling the story of family members in the First and Second World War, some of whom died in action and some who returned home to a changed world. 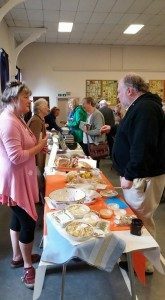 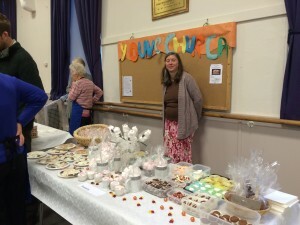 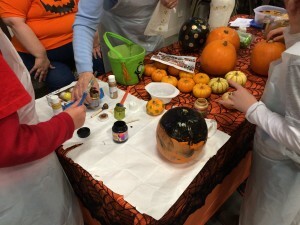 An afternoon tea with a baking and preserves stall was held on Saturday 27th October and the warm and friendly atmosphere was enjoyed by all. 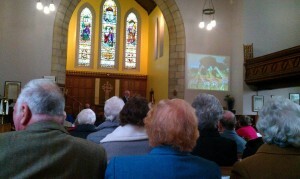 Folk at St James Dollar enjoyed the live link to Bishop Ian’s Consecration Service. Due to band width problems there were some breaks, and hymns were a good time to have a tea and cake break! Everyone enjoyed it though and we did feel part of the proceedings. A big thanks to Alun Morgan, Vestry Chairman for setting this up in the Parish Rooms. 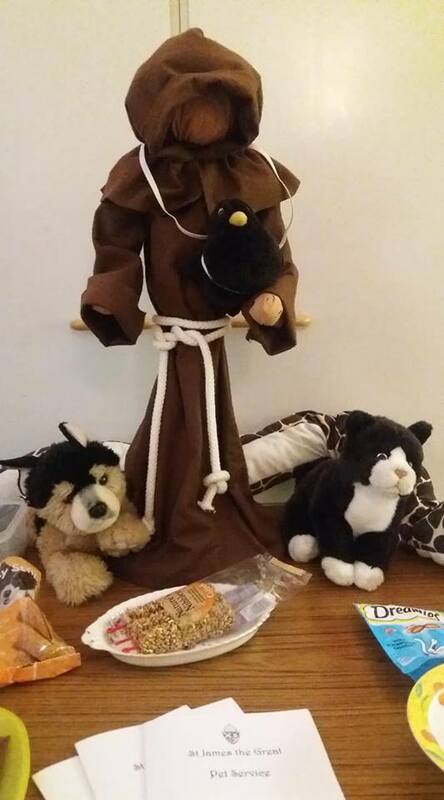 For the first time the Pet Service in honour of St. Francis had to be held indoors as it was so wet this afternoon. 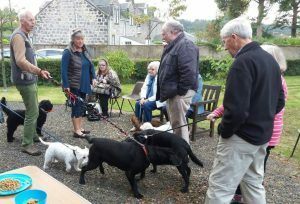 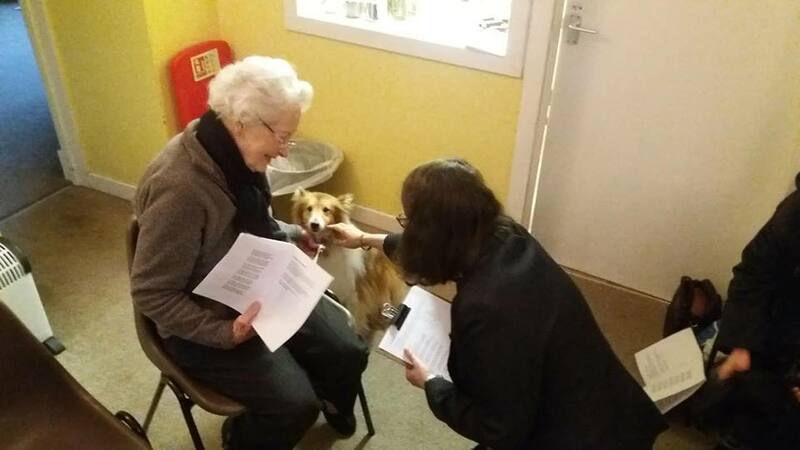 Pets and their owners enjoyed the sociable atmosphere with refreshments after the short blessing service. 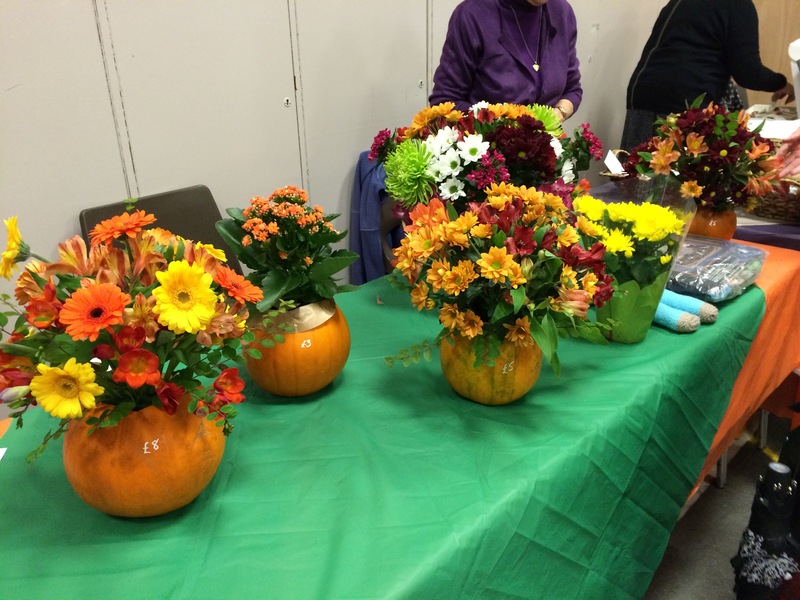 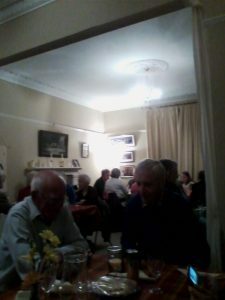 A Harvest Supper was held on Saturday 29th September in the Parish Rooms and greatly enjoyed by all who attended. 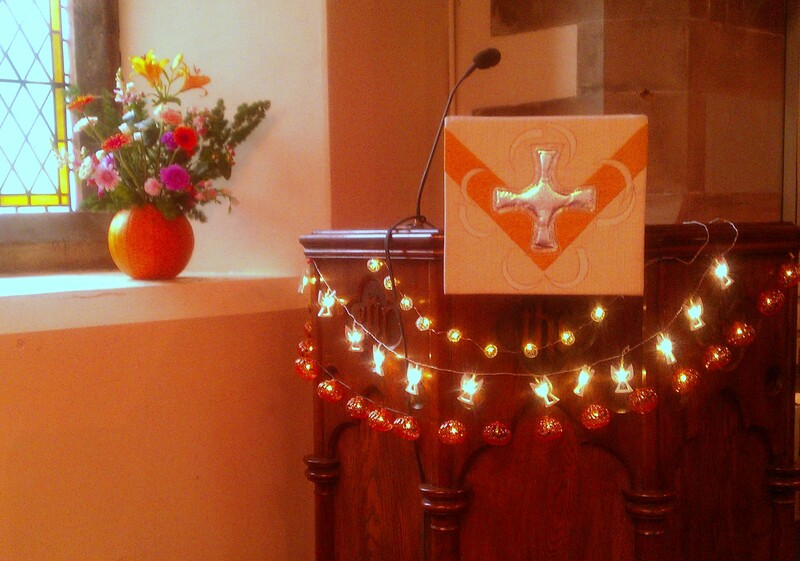 We welcomed Rev Jim Thomson as the celebrant to our Harvest Thanksgiving. 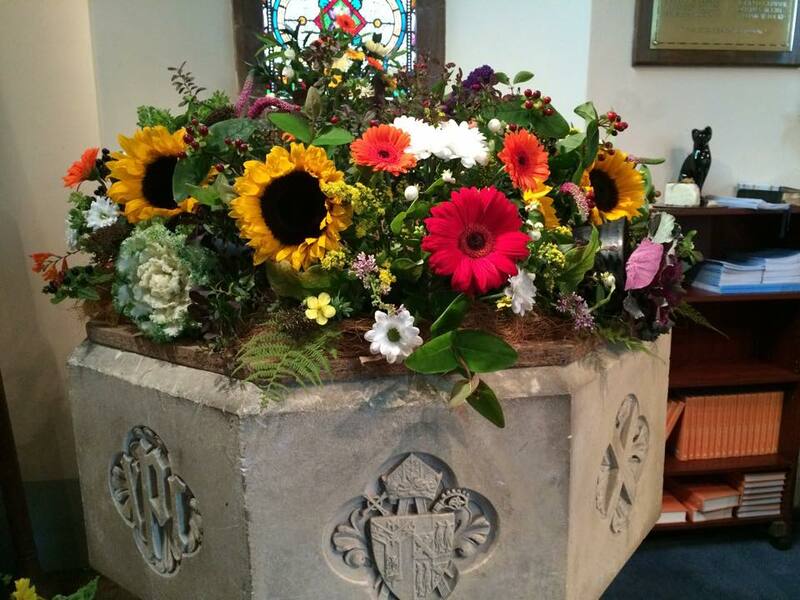 A weekend of celebration and warm farewells at the beginning of September for St James’. On Saturday we celebrated Andrew and Lynn’s 8 years with us with a wonderful afternoon tea and presentation of gifts. 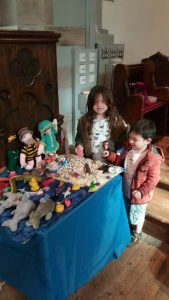 Andrew and Lynn are looking forward to some time in the U.S. where Andrew will be working for his former church in Atlanta. 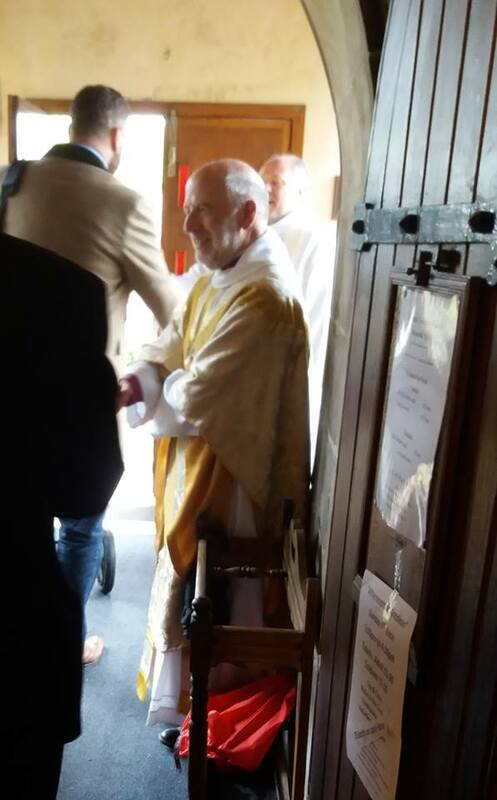 We wish them every blessing in their new adventures. On Sunday 12th August during the morning service Sharon Allison, Project Manager at the Hub at HMP Glenochil and Cornton Vale, gave St James’s a most interesting presentation on work with prisoners and their families. The Hub is one of the charities supported by St James’s this year. 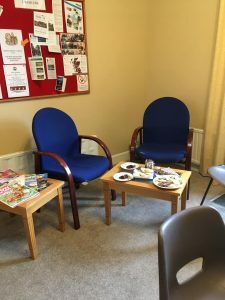 If you would like to find out more about volunteering at The Hub, please speak to Elma at St James ‘s . 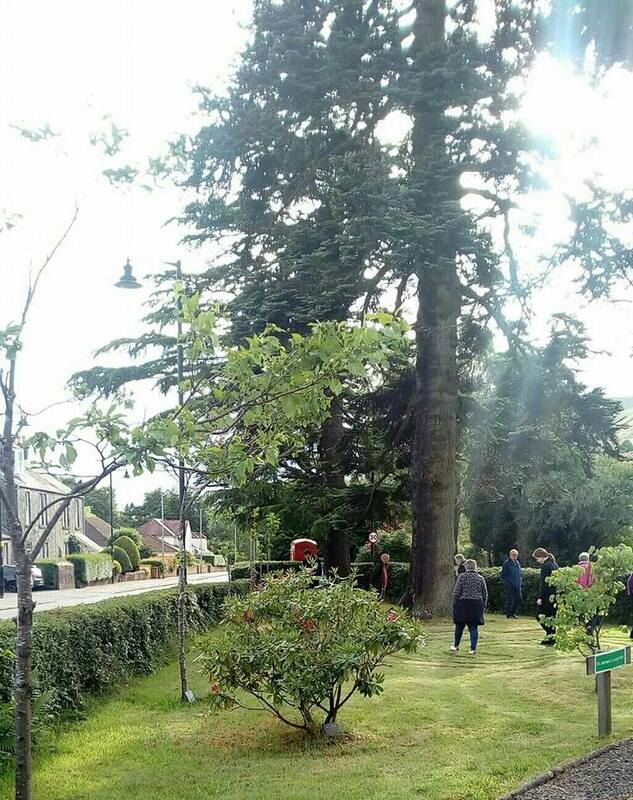 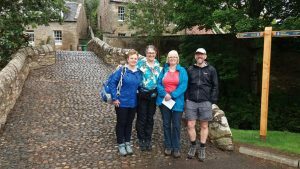 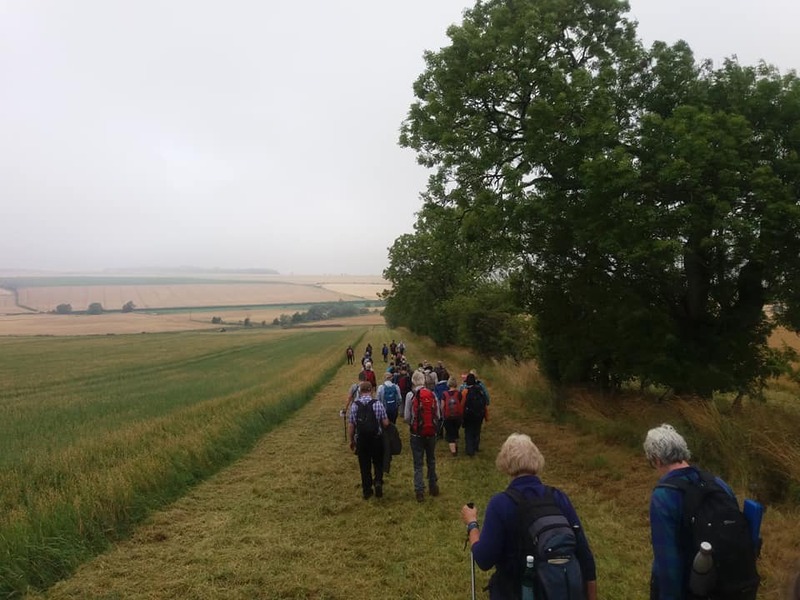 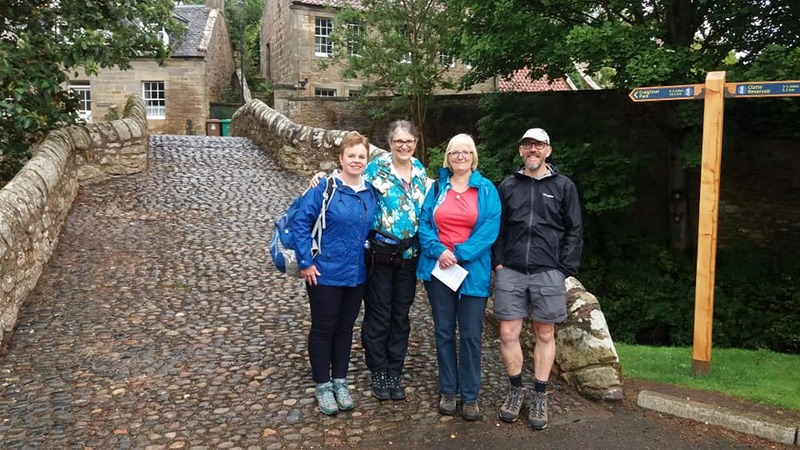 On 28th July the first diocesan pilgrimage took place walking from Ceres in Fife along the newly re-established pilgrim route to St Andrews.About 40 people set out from Ceres but we were joined along the way and by the time we reached St. Andrews there were about 90 people. It was a wonderful day of prayer and fellow ship culminating in a Sung Evensong at All Saints, St Andrews. The Area Council Meeting was held at St. James’s on Wednesday 20th June. 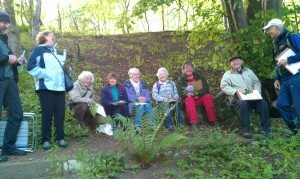 It was an evening on labyrinth walking, one of a series being held across the diocese this year. Andrew and Rev Liz Baker (Pitlochry) introduced the idea of walking a labyrinth as a tool for prayer and reflection. 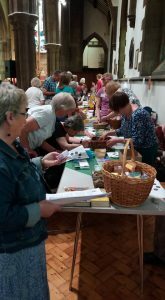 They also provided printed material with useful suggestions and prayers. 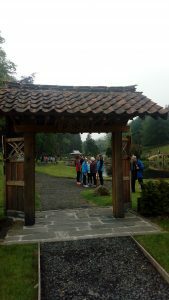 We were able to use our own outdoor labyrinth and an indoor one on canvas. 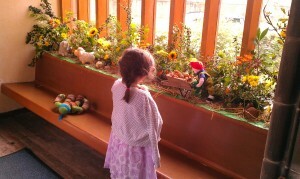 Each offered a very different experience. 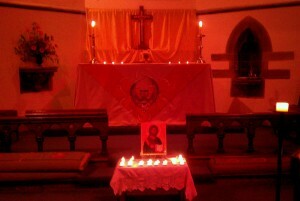 About 20 people enjoyed a bring and share supper and we finished with Evening Prayer in the church. The people attending came from numerous churches across our area and a lovely atmosphere was created. 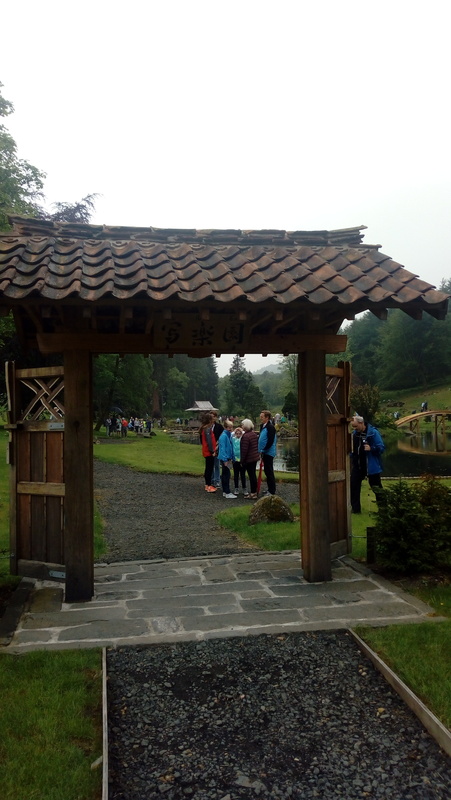 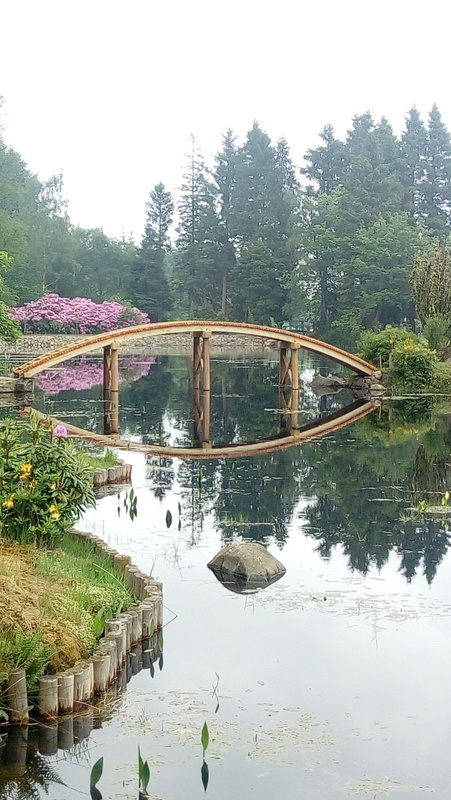 The newly restored Japanese Garden at Cowden just outside Dollar was opened to the public for the first time as part of Scottish Gardens Open days. 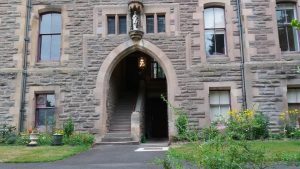 it is now open until October on Wednesday to Sunday each week. 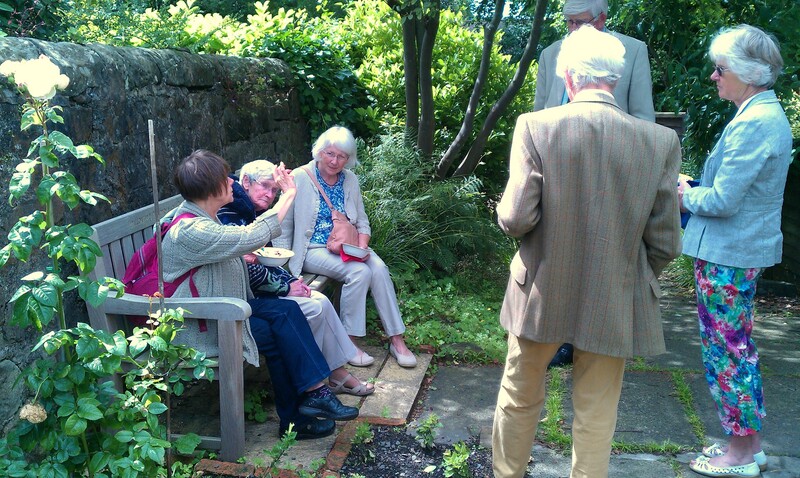 Members of St. James’s helped with guiding and providing refreshments. 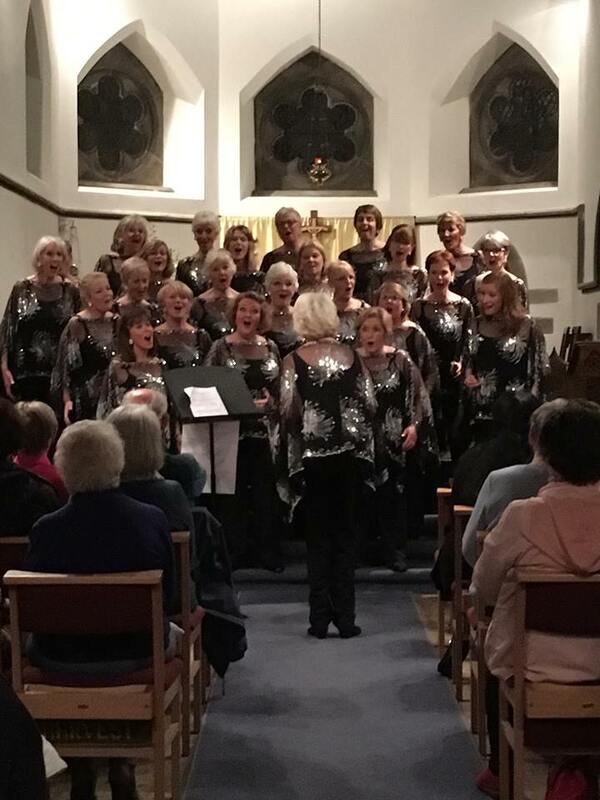 Hillfoot Harmony delighted their audience on Friday night with a varied concert of Barbershop singing. 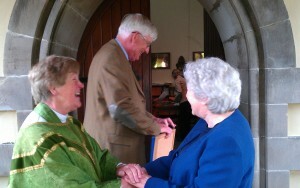 It was lovely to welcome so many friends to St. James’s. This morning 36 trauma teddies were blessed before being taken to the Scottish Fire and Rescue service in Alloa. 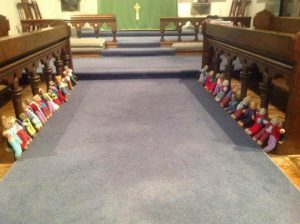 These teddies, knitted by members of the congregation are handed out to children who have been involved in distressing incidents and can be greatly reassuring for them in difficult circumstances. 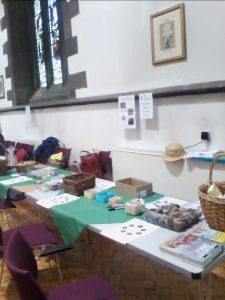 People enjoyed creating prayer stones with the St James Drop In Group at the Gathering in Perth Cathedral on Saturday. 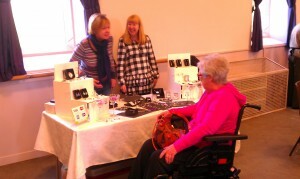 There was a very friendly and creative atmosphere all day. 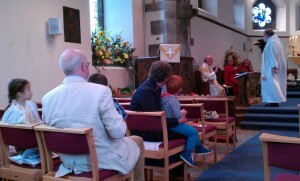 Bishop David joined us for the main service on May 21st which included the baptism of Harri Bowen. 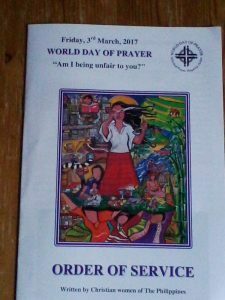 St.James’s led this year’s World Day of Prayer service in Dollar this year. 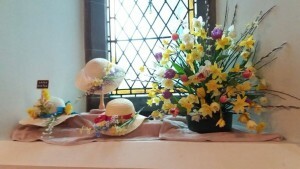 The service was written by Christian women of The Philippines on the theme, “Am I being unfair to you?”. 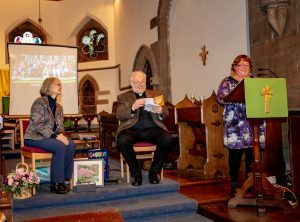 As we heard about the lives of people in The Philippines we were able to watch pictures of the countryside and the the school for the Aeta people in the highlands which Alun Morgan, a member of the congregation, has been instrumental in setting up and supporting. 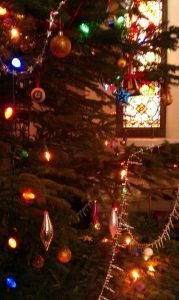 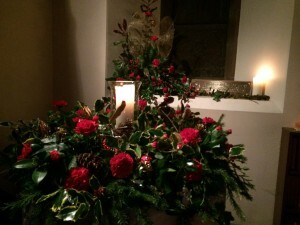 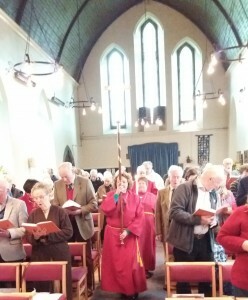 We held our annual service of Nine Lessons and Carols on Sunday 18th. A beautiful service followed mulled wine and mince pies in the Parish Rooms. 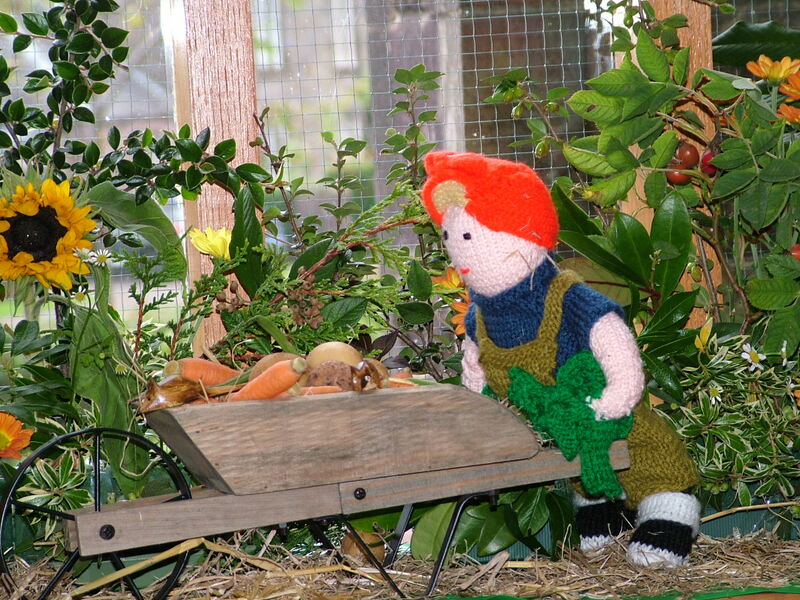 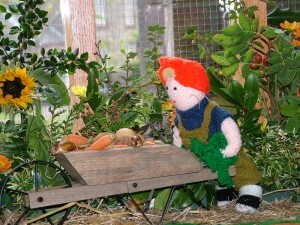 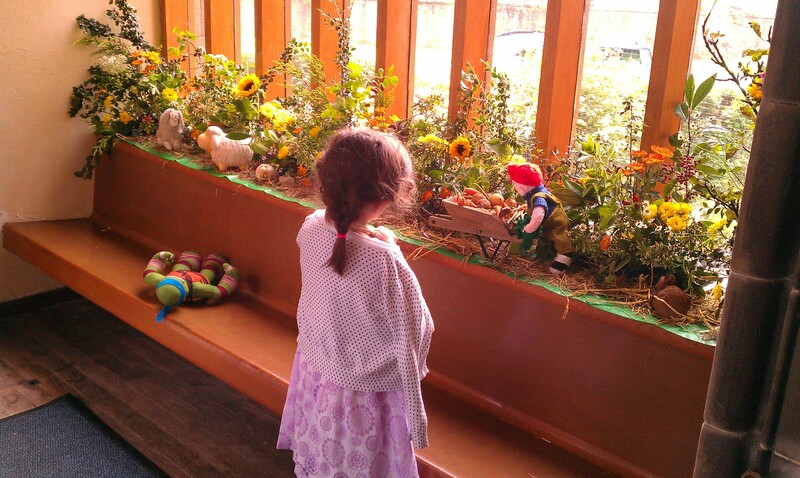 We celebrated Harvest over the weekend of October 1st and 2nd. 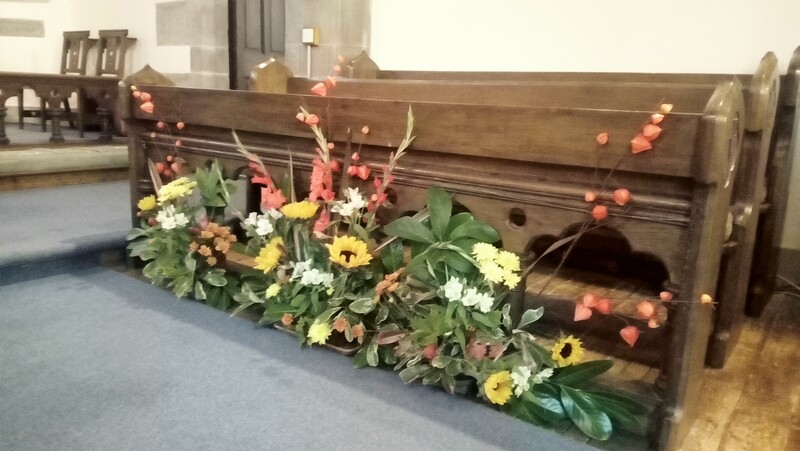 On Saturday evening we had a short service in the church followed by the Harvest Supper in the Parish Rooms attended by about 40 people; delicious food and a a very happy atmosphere. 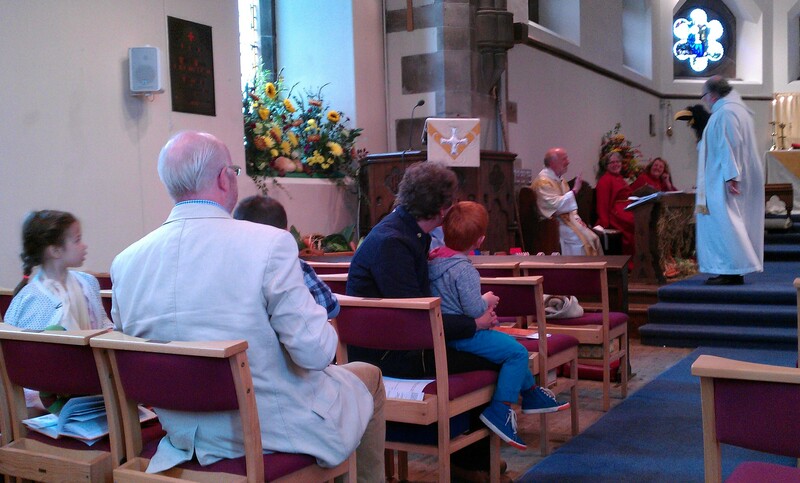 On Sunday morning we held our main harvest service. 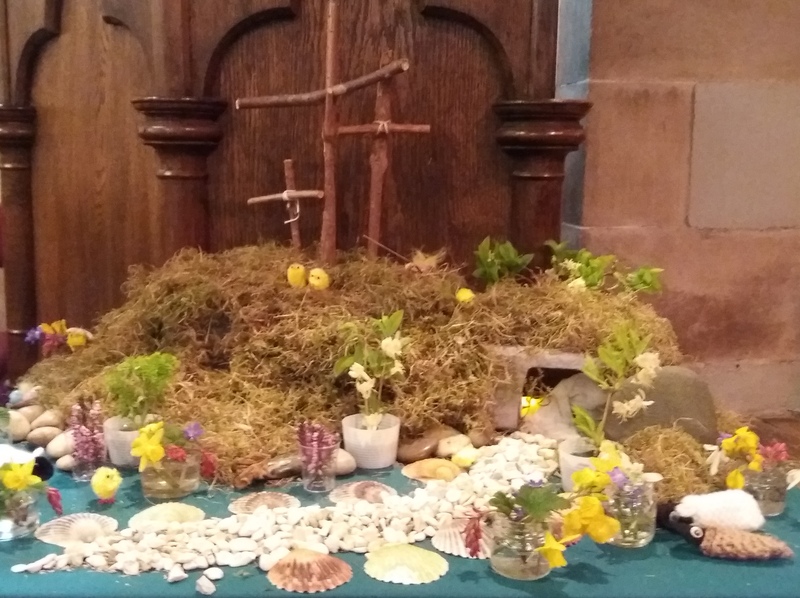 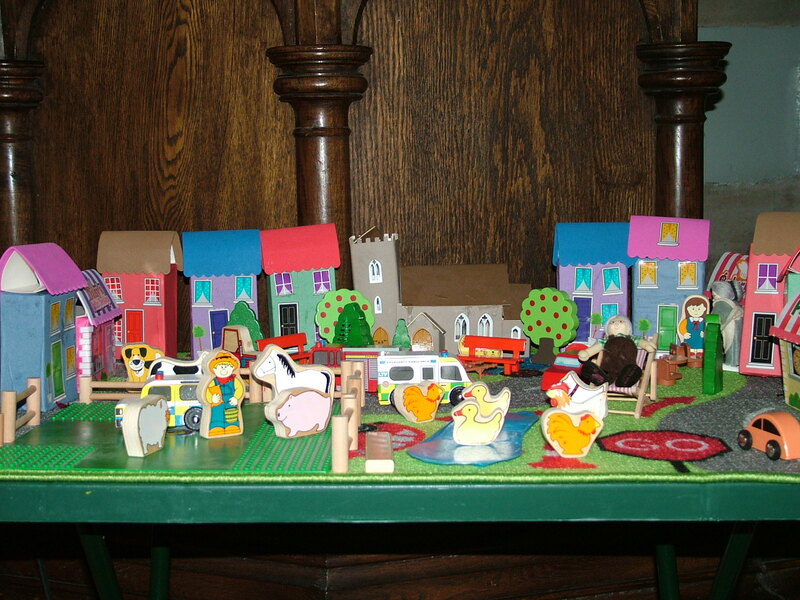 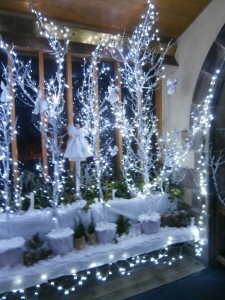 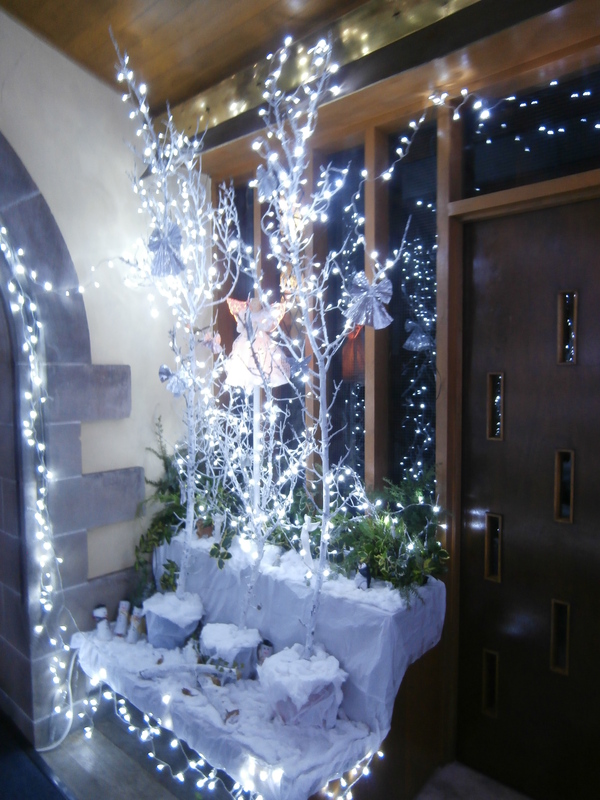 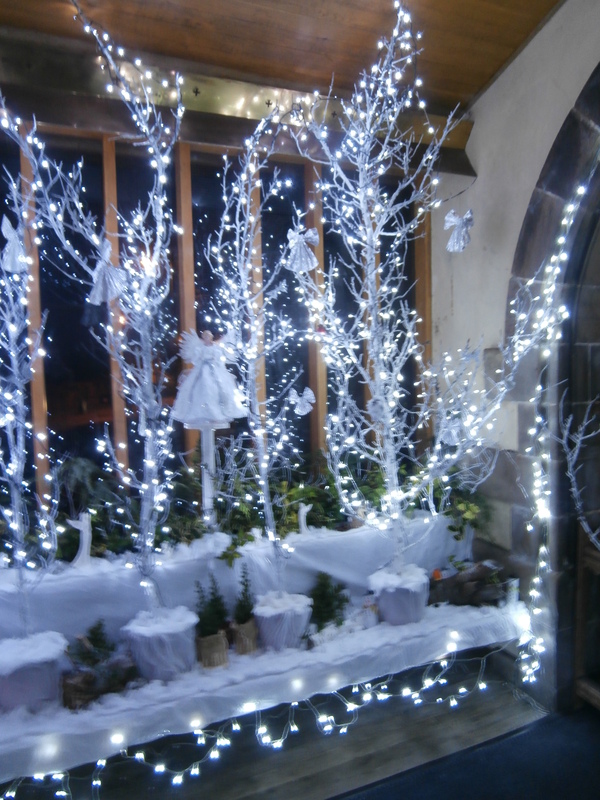 The church was beautifully decorated and the children had taken sealife as the theme for their harvest table. 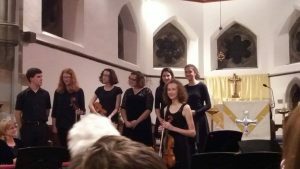 On Sunday evening a group of young musicians led by Martina Sillence from Dollar and friends from Glasgow put on a most enjoyable concert in the church. For the first time, to celebrate the week of Christian Unity St. James’s and Dollar, Muckhart and Glendevon Parish Churches came together to share their main morning service. 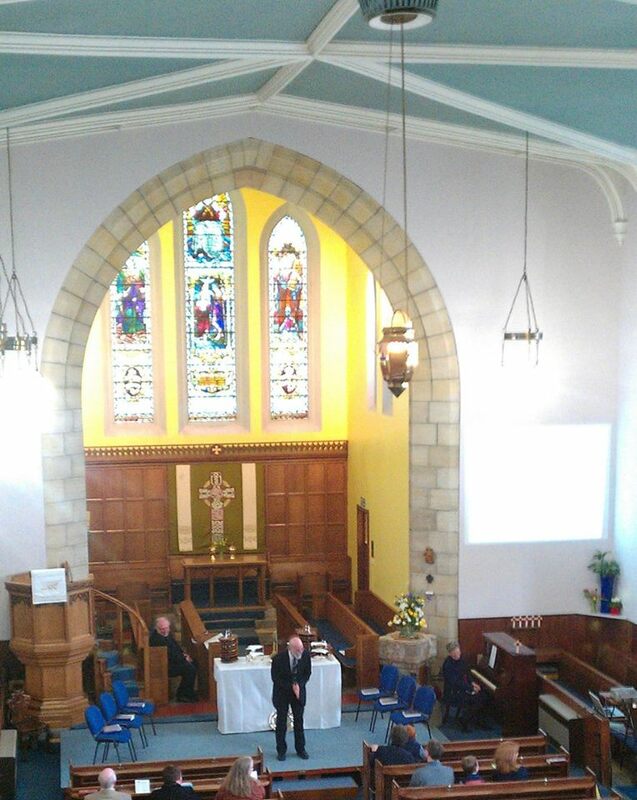 The service blended elements from both our usual services and afterwards we enjoyed the hospitality of the Parish Church in the Burnside Hall. 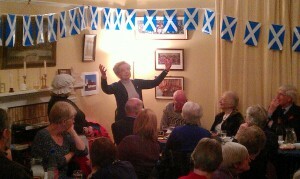 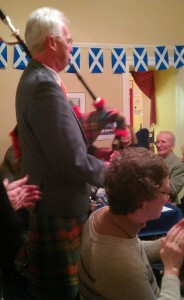 A most enjoyable Burns Supper was held on January 23rd in the Parish Rooms. 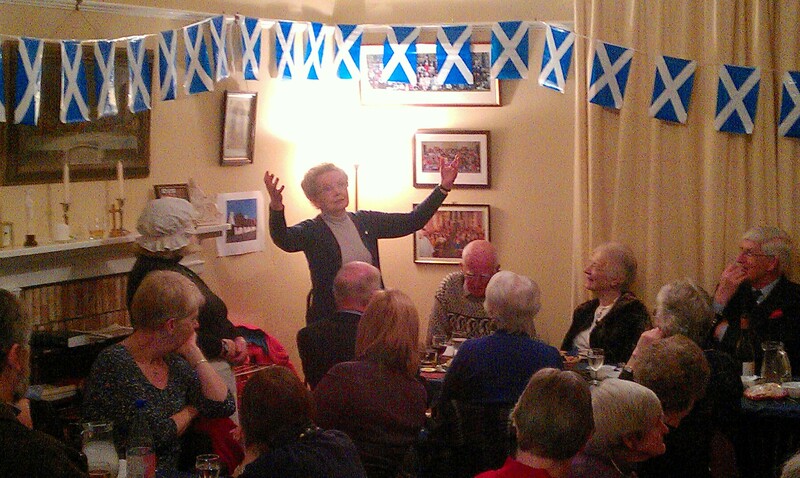 St James’s folk demonstrated their talents in many areas from recitation to potato peeling! 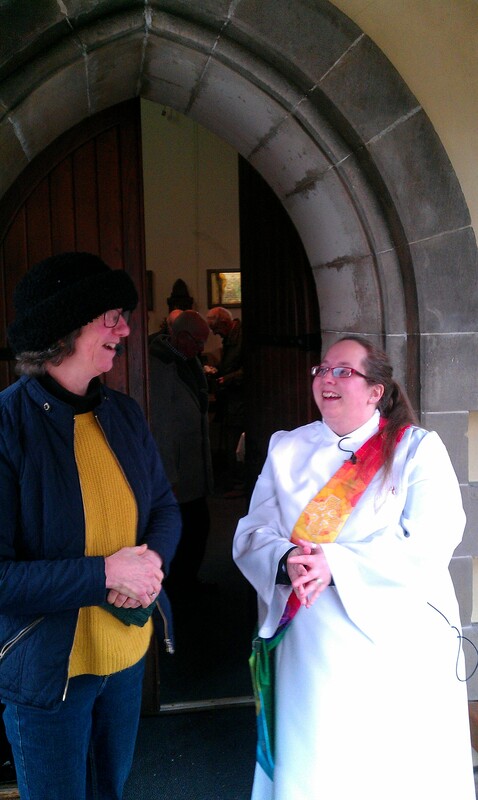 We were delighted to welcome Victoria Sibley-Bentley (and her parents, Colin and Pat) as our guest preacher.Victoria and her parents were members of St. James’s for a number of years.Victoria is the Vocational Deacon and Chaplain at Massey University in Palmerston North, New Zealand. 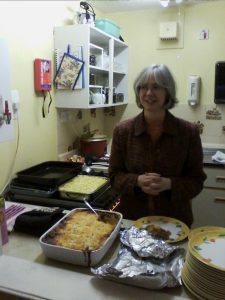 She gave us some fascinating insights into life in New Zealand. 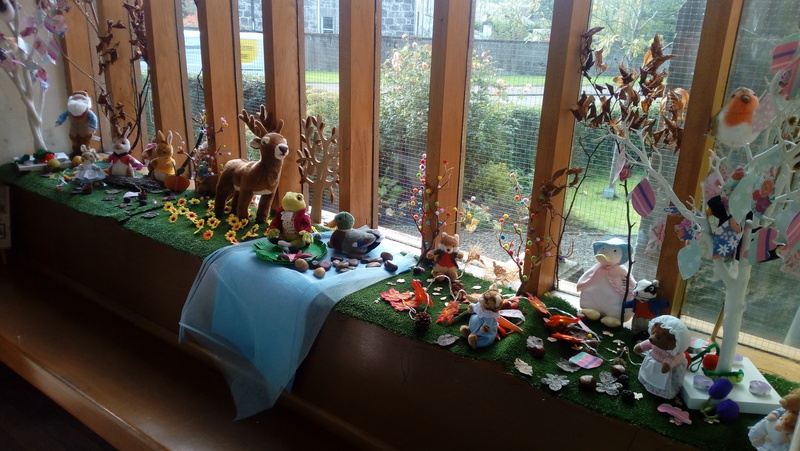 Our service on All Saints Day was an All Age Service and we looked at the link between Halloween, All Saints and All Souls. 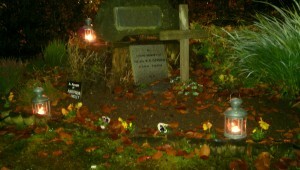 Candles were lit in memory of loved ones at the All Souls Service and then lanterns were carried to the Memorial Garden. 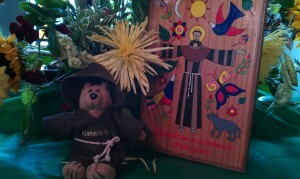 St. Francis’s Day was celebrated by telling the story of his life with help from the puppet Mr Crow. 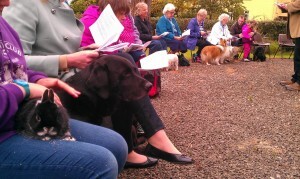 In the afternoon the annual Pets’ Service was held in the church gardens. 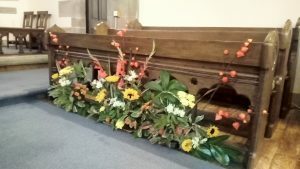 We were delighted to welcome Bishop David and Alison to our Harvest Service on Sunday 20th September.The church has been beautifully and creatively decorated. 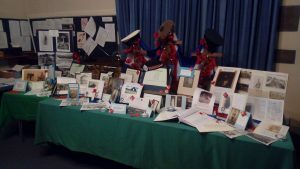 Do pop in and have a look if you are in Dollar. 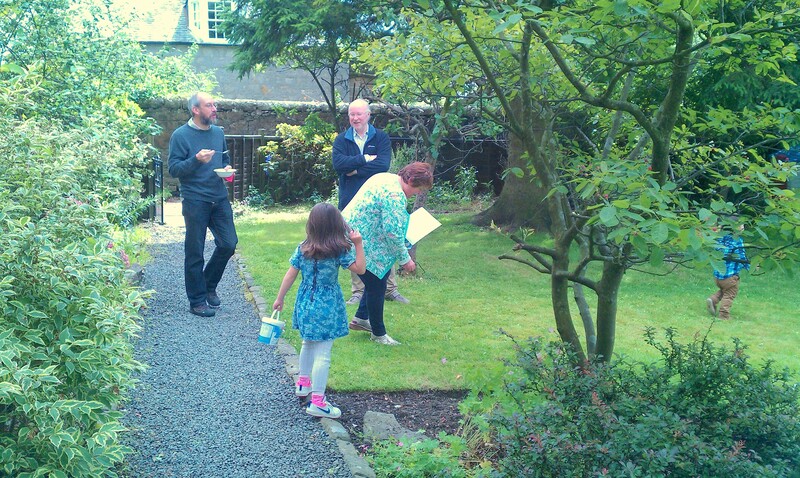 We celebrated St. James’s Day with a Bring and Share lunch and some games for the children in the Rectory Garden. 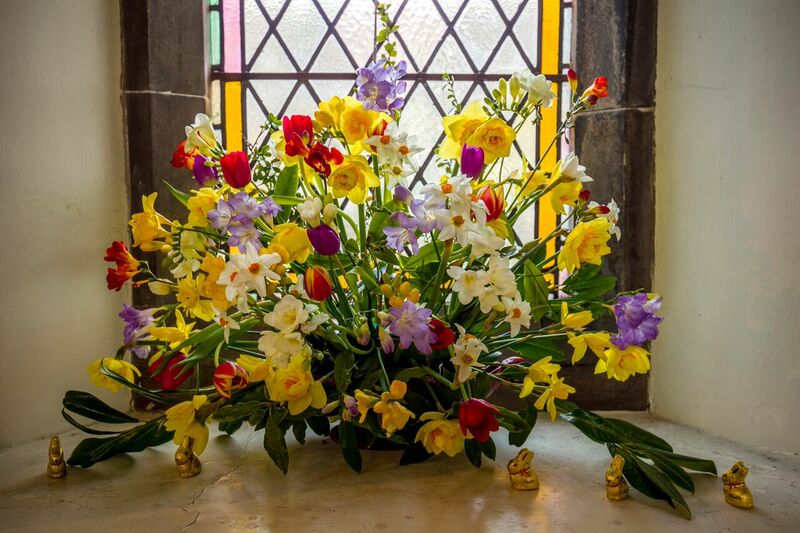 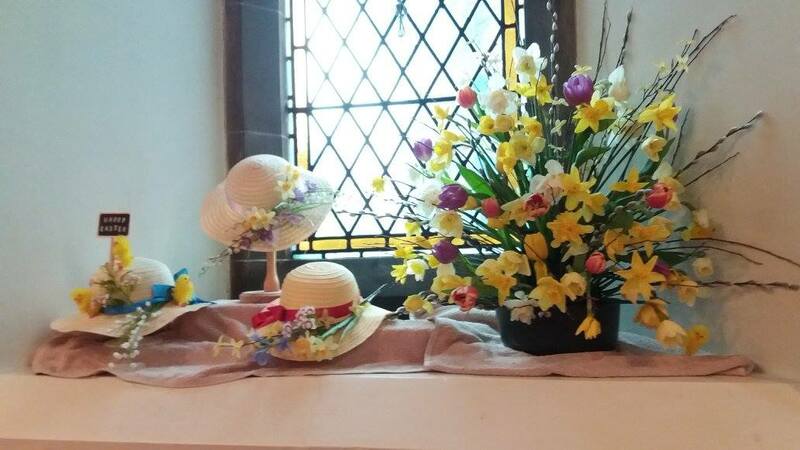 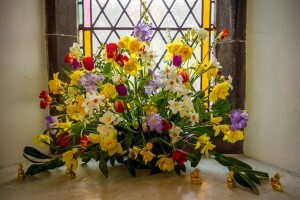 As always the church flowers were glorious for Easter – wonderful creative work by many people on Easter Saturday. Easter morning was an All Age Family Service and everyone contributed to the prayer chain which was made during intercessions. For the second year we had an Eastingle service – a service of activities for young people to explain the Easter story. 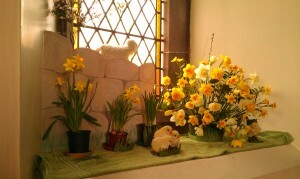 It took place in the church and in the church grounds , in and around the labyrinth.. 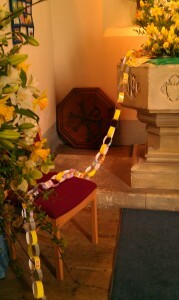 It concluded with the lighting of the Easter fire which led on to the Easter Vigil. 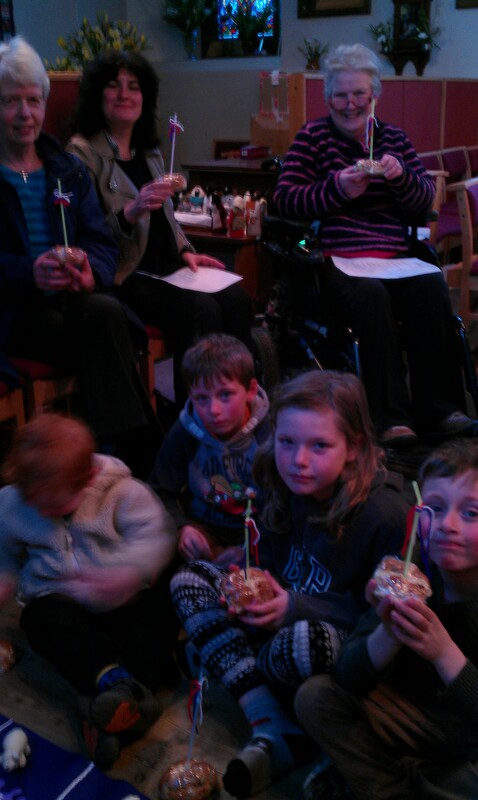 Just before Holy Week the Drop In Group were the hosts for a celebration of Passover. 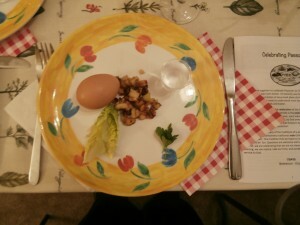 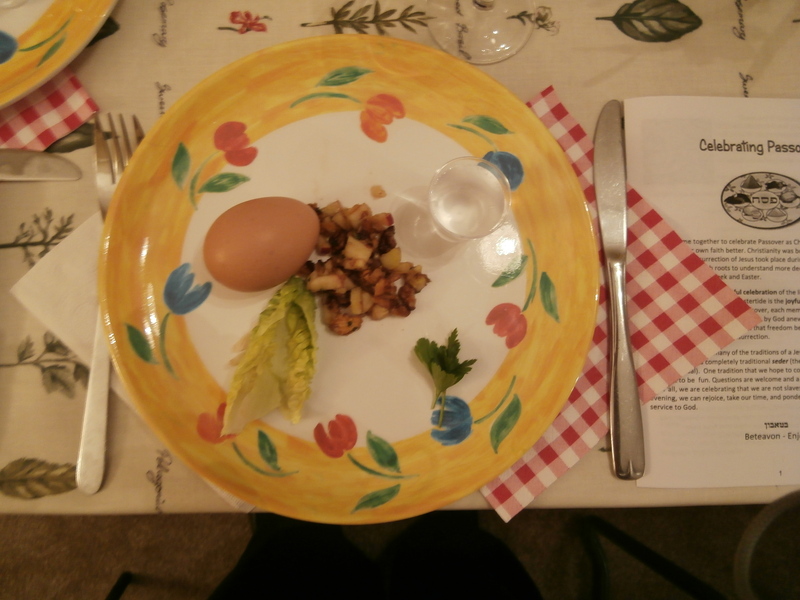 We celebrated Passover as Christians who want to understand our own faith better. 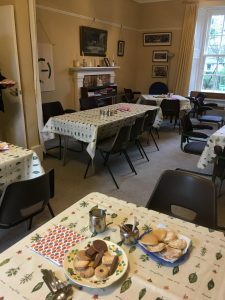 The evening explained many of the traditions of Passover but we also focused on the freedom that we are given through the resurrection of Christ.. We had a delicous buffet supper and there was a lovely atmosphere of sharing and friendship.